Memorial Day is the day Americans all around the nation honor the sacrifices veterans have made serving and defending our country. This year, it’s also the perfect moment to acknowledge the service of our local veterans by working together to establish a veterans’ cemetery in Orange County. Several years ago, a group of local veterans banded together to explore the possibility of creating a veterans’ cemetery within Orange County. As a result, the Orange County Veteran Memorial Park Committee was formed and over the years the group has worked tirelessly to garner support for this project from organizations all across Orange County and the State of California. The nearest veterans’ cemetery still accepting burials is located in Riverside County, which denies our veterans in Orange County the opportunity to be buried in the community they lived in, and is inconvenient to deceased veterans’ families and friends who wish to pay their respects. A veterans’ cemetery is not merely a resting place for veterans. It is also a shrine that provides a place of perpetual community remembrance for those who served our country. Veterans’ cemeteries provide communities with locations for services and events honoring veterans and the men and women currently serving in the military as well. They are a source of great community pride. Veterans’ cemeteries have traditionally been constructed and operated by the federal government, but in an attempt to cut costs, the U.S. Department of Veterans Affairs established a program that provides grants to states to build their own veterans’ cemeteries. Land for the cemetery is typically donated to the state by a local government or private person, and states pay the maintenance costs, which are offset by veterans’ burial benefits. The state cemeteries are covered by the same regulations as the national cemeteries and look very much the same as the national cemeteries, though they are usually smaller. California has two of these state veterans’ cemeteries, both in northern California, one of which was just recently approved on the grounds of the former Ft. Ord Army Base in Monterey County. Due to the fact that only states and tribal governments can apply for these federal grants, I have authored legislation, Assembly Bill (AB) 1453, to allow the grant process to move forward for a veterans’ cemetery in Orange County. The bill, which requires the California Department of Veterans Affairs, in cooperation with local governments in Orange County to design, develop, and construct a state-owned and state-operated veterans cemetery, is co-authored by my fellow members of the Orange County legislative delegation, Assemblymembers Tom Daly, Allan Mansoor and Don Wagner, and Senator Lou Correa. The Orange County Board of Supervisors and 15 cities throughout Orange County have endorsed this legislation. Two other cities will be taking up endorsement resolutions soon. My colleagues and I are deeply committed to making this cemetery a reality and to championing it at the state level. However we also need action at the local level, particularly a suitable site, in order for the project to move forward. Siting decisions are deeply local decisions and can be complicated by politics, development interests, and competing land use priorities. However, I believe honoring our fallen heroes and those who put themselves in harm’s way on our behalf, is a tremendously important way to use available land in Orange County. The City of Irvine has stepped forward, declaring its commitment to honor veterans and support AB 1453, and it is actively considering whether some portion of the Great Park could be used to establish a veterans’ cemetery. Many veterans find that a particularly appropriate site, given the Great Park’s former use as Marine Corps Air Station El Toro. Certainly other locations exist within the county that would be suitable for this project. 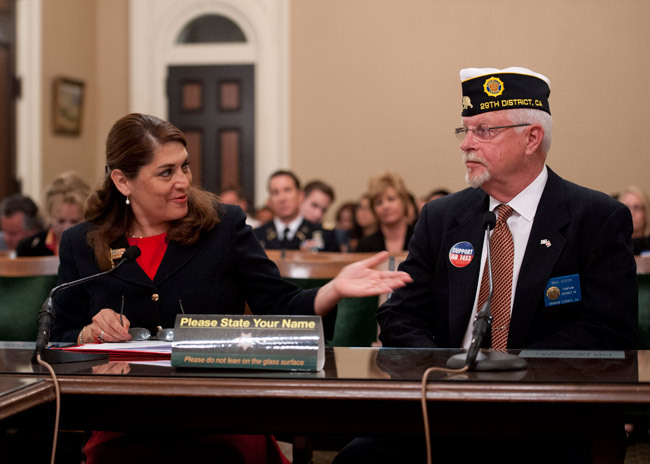 Orange County residents can help in this effort by expressing their support for AB 1453, and, if the bill becomes law, by encouraging the U.S. Department of Veterans Affairs to look favorably upon California’s grant request. Additionally, anyone who has or knows of appropriate land for our veterans’ cemetery should let my office or your local elected officials know. Whatever the ultimate location, Orange County veterans, as well as veterans from nearby communities, deserve a final resting place with all the honor of a national cemetery, a place that will provide their families and communities a true and lasting opportunity to pay their respects. Assemblywoman Sharon Quirk-Silva represents the residents of the 65th California State Assembly district in Sacramento. She is Chair of the Assembly Veterans Affairs Committee and a member of the Transportation, Higher Education, Accountability and Administrative Review, and Housing and Community Development committees. In addition, Assemblywoman Quirk-Silva is the Chair of the Assembly Select Committee on Job Creation for the New Economy, and a member of the Select Committees on Campus Climate, and Aerospace. Visit her Assembly website at http://asmdc.org/members/a65/. A very worthwhile project and thanks to Sharon Quirk-Silva for her efforts in making it happen. and no thanks to Christina Shea for her alternative proposal and no vote on support for a Vet’s Cemetery and Memorial at the Great Park…..
Orange County is the third most populous county in California. We owe it to our veterans to provide them with a military cemetery that is close by. Let’s show our support for our veterans. Thank you Assemblywoman Sharon Quirk-Silva, I am very grateful for your support and standing beside our Veterans. 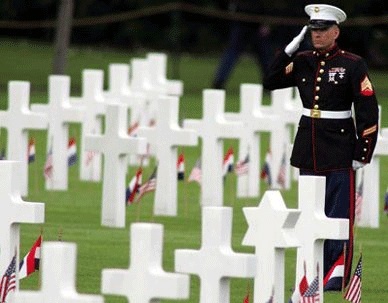 Our fallen soldiers who gave the ultimate price for America’s freedoms. Memorial Weekend, it is so important that we remember to honor them , remember them, and care for them. El Toro is hallowed grounds, considered a place for our military to call home. Shouldn’t we feel compelled to give them a place to celebrate their lives as an American Hero? Give it a rest Dan. Christina Shea cares more about our Veterans than do you, Larry Agran and Beth Krom rolled into one. he failed to note that it is also bad to build near prisions, garbage dumps, fast streets, cul-de-sacs, hospitals, churches, fire stations and dry land amongst other no-no’s. It would seem that the Great Parks development has already failed the “feng shui” test. It would seem that Mr. Choi, Mr. Haddad et al really don’t want a cemetery because of the visible reality of life and death would be a sobering contrast to their vision of Irvine as an adult Disneyland. “Harmful road patterns can focus destructive energy toward the house. End of a T junction or a V shape road is a classic example. If the property is hemmed in by surrounding tall buildings or is overwhelmed by objects like a big tree, these objects can absorb the energy of the area including that of the home. Don’t worry if these trees or buildings are in the distance, they are a problem only when they are too close to your home. A good measure to use is to ask, if they were to fall over would they damage your property? If not, they should not cause you any problems. The destructive forces from a transmission tower, electricity pylons and power stations can bring ill health. Again, if they are in the distance do not worry about them. Sharp edges of buildings and sharp objects (images included) that aim directly at the house can negatively influence the generally wellbeing of the household. Sharply inclined slopes facing the front of the house may block nourishing energy from entering the house. Rocky landscape and dry vegetation do not hold positive energy and can have a negative influence. Houses built next or near to a hospital, cemetery, prison, garbage dump or abattoir can absorb the sick and yin energy of these places affecting the residents with ill health and creating difficulties in the realisation of their objectives. Houses located at the top of a ridge are lashed by harmful strong winds. Apartments or offices located on the top floors of a lone standing apartment or office building are more exposed to destructive elements of nature than the lower floors. A stagnant body of water affects our health and wealth negatively.